Murcia,Thursday, a few hours before the conference “gala dinner”: In typical Spanish fashion, tonight’s meal – which will be excellent, I’m sure – starts at 9-30pm. This is late for a stomach accustomed to dinner at 7, and I haven’t fully acclimatised to the Iberian lifestyle. In fact, I’ve sloped off early from the last session of the day in order to post this and have a nap before the festivities begin. Given that one of the world’s leading truffle scientists is threatening to dance all-comers under the table, and that she ran a 100km ultra-marathon earlier this year, stamina is clearly going to be of the essence. I’m not going to post about the science being done at this workshop, except to say that it raises as many questions about truffles and their cultivation as it answers, but I have learned a hell of a lot: about the truffles of Hungary, the new truffieres of Chile, the truffles of Spain and the mushrooms of the Spanish regions, and the formation of a truffle association in British Columbia where keen growers have already planted their first trees. I have also met a scientist from Finland who is convinced that he’s got a good shot at growing the Périgord black up in that frigid corner of the world. Plenty of material to fed into the NZTA research programme, and into the next edition of The Truffle Book — if it ever gets that far. But it’s the networking that’s most useful. Putting names to faces, seeing people again, reinforcing links and forging more. 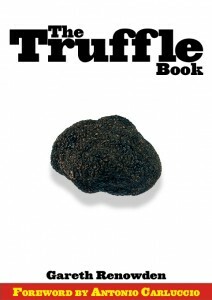 I’ve even sold virtually all the copies of The Truffle Book that I shipped over from NZ. 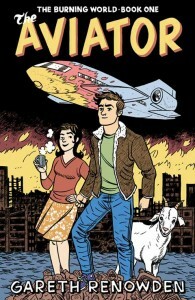 (Thanks Pilar and Asun). So far, nobody’s grabbed me by the arm and pointed out any terrible mistakes, for which I am deeply grateful.